Magnecraft, a brand of Schneider Electric, is a broad line of electro-mechanical, hybrid, solid state relays and sockets used in general purpose and industrial applications. As One of the industry leaders in the electronic relay market, Schneider Electric Relays LLC provides innovative solutions through the continual introduction of new products. This stream of new products includes solid state, electromechanical, and hybrid technologies. All new products share the common thread being designed for industrial applications. Therefore, most are either socket or DIN-rail compatible. 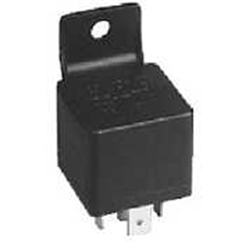 General purpose plug-in relays are available in many different package styles and most are compatible with multiple accessories and/or sockets. 861 Series - SPST-NO, 8-15A, DIN rail or panel mount SSR. The 861 Solid State Relay is the first complete solid state relay, in a modular package. SSRDIN Series - SPST, 10-40A, DIN rail or panel mount SSR. The SSRDIN is a complete solid state relay solution in one convenient package. 6 Series - SPST-NO/NC, DPST-NO, 10 –125A, panel mount SSR. Due to increasing industry demands, Magnecraft has released the newly designed, finger-safe “hockey puck” style solid state relay. Screw and Blade Terminals available. 226 Series - SPST-NO, 7A, panel mount SSR with push-on terminals. The 226 Series relays are designed for low power loads. The design incorporates a triac output for AC loads and its compact size makes it ideal for designs where space is limited. Time delay and sensor relays are an affordable way to control circuits by offering several unique timing functions. 820 Series Time Delay Relays - SPDT & DPDT, 15A, finger-safe, DIN rail mountable time delay relay. The 821 series is a multifunction, multi-voltage time delay relay offering the end user the ultimate in flexibility. 831 Voltage Sensor Series - SPDT, 15A, finger-safe, DIN rail mountable voltage sensor. The 831 series voltage sensor is a single phase AC voltage sensor capable of monitoring and reacting to over and under voltage conditions. TDRPRO-5100 Programmable Series - SPDT & DPDT, 12A, 48mm x 48mm, panel mount, socket compatible time delay relay. The TDRPRO series is a multi-function, multi-voltage time delay relay offering the end user the ultimate in design flexibility. The thumb wheel adjustment dials result in no mechanical deviation for supreme accuracy. TDRSOX/SRX Series - DPDT, 12A, socket compatible time delay relay. The TDRSOX/SRX series is a twofunction, dual-voltage time delay relay. The integrated DIP switching allow the user easy adjustability with wide timing range. Octal or Square Base. Power relays are ideal for use in high power applications. W199 Series - Multiple contact configurations, up to 50A, panel mount, screw or pressure wire terminals, magnetic blowout for DC switching, and auxiliary switch on select models. 389F Series - Square Base Multiple contact configurations, 20-30A. Flag indicator, push button, lamp indicator, 0.25 inch solder quick connect or printed circuit board terminals. Multiple mounting options. 300 Series - Square Base DPDT, SPDT-DB-DM, 30A, flange cover, 0.25 inch quick connect solder terminals. W92 Series - DIN/Flange Cover 30A, epoxy sealed, DPDT, 0.25 inch quick connect terminals. W9A Series - Flange Cover 30A, epoxy sealed, SPDT, 0.25 inch quick connect and 0.187 inch coil quick connect terminals. Latching and sequencing relays will conserve energy, are not affected by voltage drops and will latch indefinitely until instructed to transfer. 711 Series - DPDT, 12A, 11-pin square base plug-in, impulse sequencing, electronically steered..
712 Series - Alternating SPDT/DPDT, 12A, Socket Compatible Alternating Relay. The 712 series Alternating Relay is ideal for duplex pumping systems where it is desirable to equalize pump run time. 755 Series - DPDT, 16A, 11-pin octal plug-in, magnetic dual latching coils..
785 Series - DPDT, 16A, 11-pin square base plug-in, magnetic single or dual latching coils..
385 Series - DPDT, 4PDT & 6PDT, 15A, DIN or panel mount, dual coil mechanical latch, 0.187 inch quick connect or solder terminals. Printed circuit board relays are high power relays in a compact package. 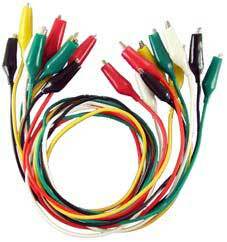 They are ideal for low-level switching applications. 117S IP, 107, 171 & 172 DIP Series - SPST, SPDT, & DPDT, 0.25A - 0.5A, epoxy molded. 276 Series - SPST-NO, SPDT, 7-10A, low profile, epoxy sealed, 0.1 pin grid spacing. 976 Series - SPDT, DPDT, 5-20A, slim line, epoxy sealed.